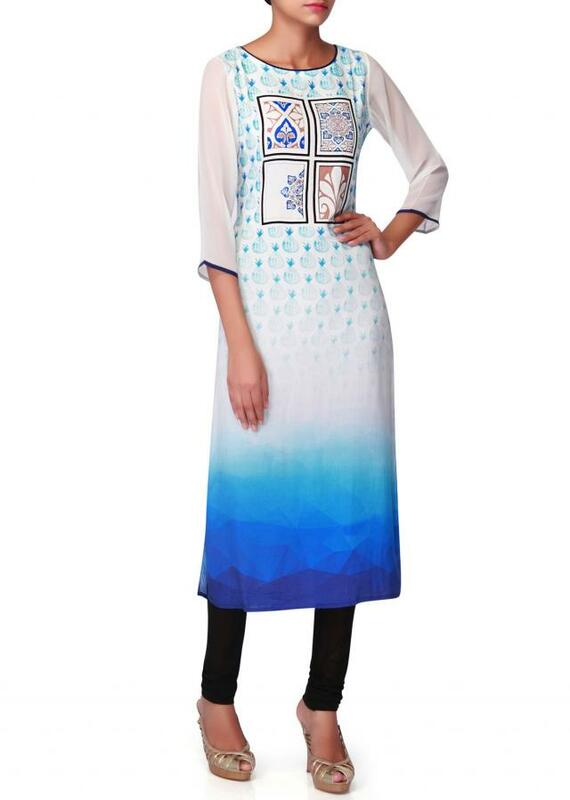 Printed Blue Cream Kurti Featuring Abstract Motifs and Sequins. 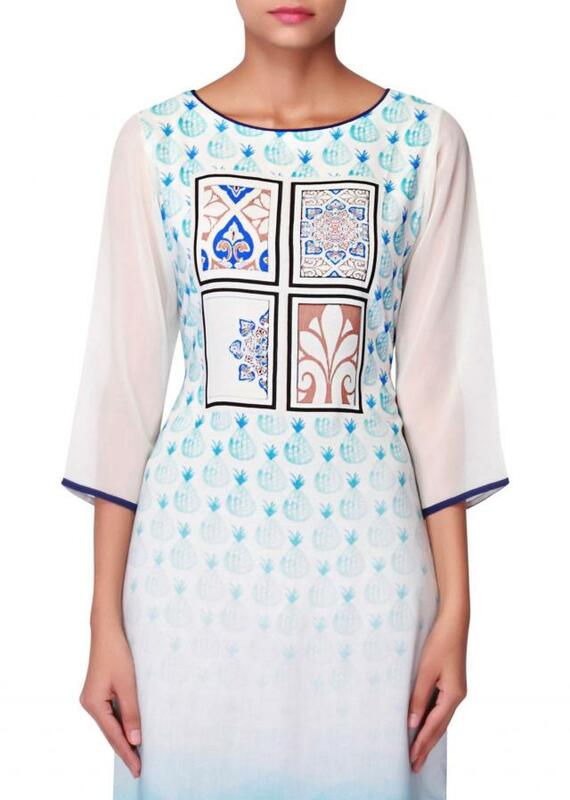 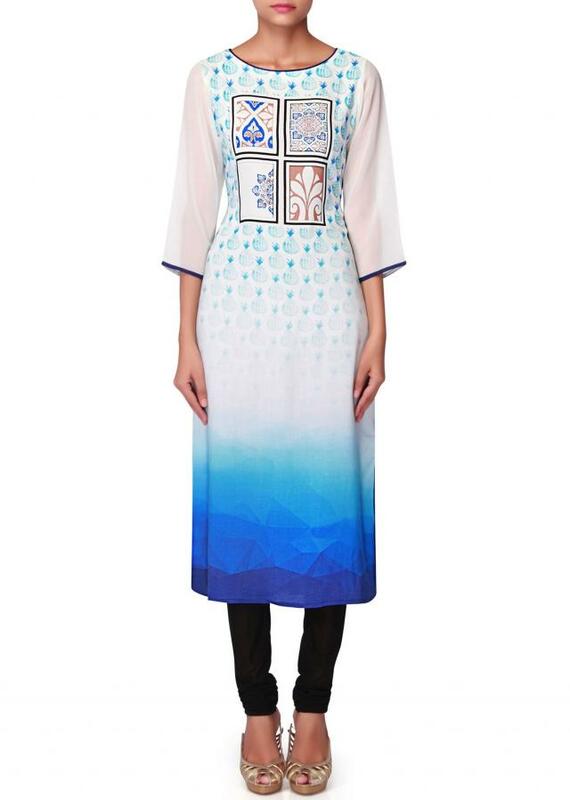 The round necked cotton kurti in blue and cream hues is adorned with abstract prints. The motifs are studded with sequins for an added sheen. 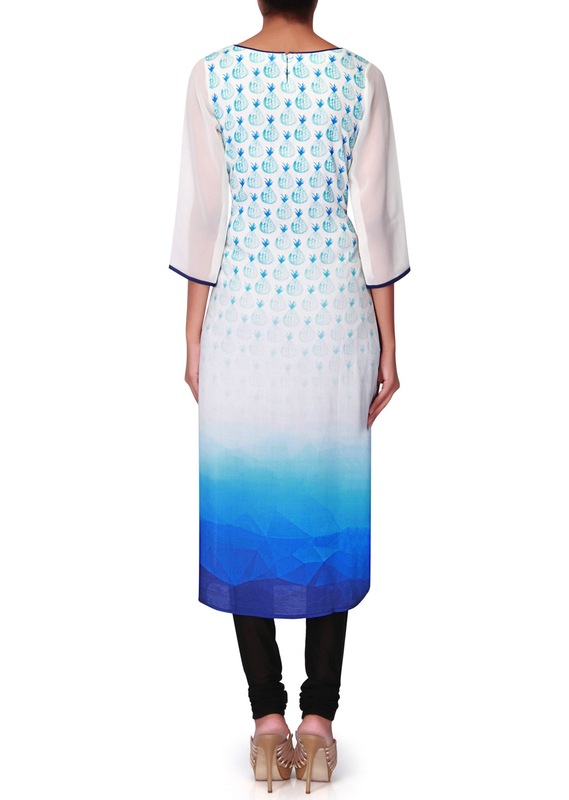 It comes with a button closure on the back.